More and more people seek help when experiencing problems with a trader from another EU country. 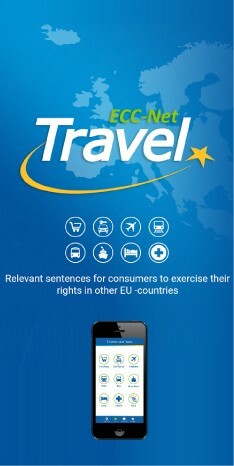 The European Consumer Centres’ Network (ECC-Net) handled more than 72.000 enquiries and complaints from consumers. The Czech branch reported 10% increase in cases in which it acted on behalf of consumers. Didn’t you receive goods ordered from another EU country or a foreign trader refused to admit your claim? You can turn to the European Consumer Centre who can help you resolve your complaint free-of-charge in an out-of-court way. The number of such cases increased annually from 27,000 to 32,000 when almost half of the cases were resolved in favour of the consumer. The rest of the 72,000 consumer contacts included requests for information and advice on consumer rights. “Online shopping and air transport are the most frequent topics. The share of information requests and complaints relating to goods and services ordered via internet has continuously increased in recent years,” said Tomáš Večl, the Director of the European Consumer Centre Czech Republic which handled 831 consumers’ enquiries and complaints in 2012 and which saw 10% increase of the number of cross-border complaints against traders from other EU countries, Norway or Iceland. Last year, the Czech ECC helped for example two Czechs dissatisfied with the services of a Dutch tour operator. A number of major problems appeared during their trip to Gabon, e.g. “private boat” for transport was indeed a regular supply boat shared with other people and besides accommodation problems, the highlight of the tour – safari – took only two hours. The company did not answer the request for refund. After the ECC-Net intervened, the trader offered a compensation of €1.385. The ECC-Net also carried out a number of joint projects, for example the Air Passenger Rights Day at 30 European airports, comparison of prices and services of ski resorts in Europe and useful information for fans travelling to the European Football Championship in Poland or the London Olympics. The ECC-Net is financed by the European Commission and the EU Member States as well as Norway and Iceland. For more information see www.europeanconsumer.cz. Enforcement of consumer rights will be one of the main topics of the European Consumer Day on March 15.